Note: Not all personal experiences are shared here, however, i have attempted to share some of what i feel could be shared. Reader's discretion is advised for they may relate to the reader or not but to those whom it relates, i am sure it would be helpful when encountered with similar situations or encounters. Gratitude to the Guru for this opportunity to share. We halted at a small town for breakfast and got going again as we had a long distance to cover up on very, very rough roads; yes, it is the highway i am mentioning about. i was at the same time excited because Achar Baba was exactly in the same place where Bade Baba was found as an infant in a jungle and thus our plan was to also visit Baba's place. We reached Thalassery at about 9 a.m. which is on the way to Quilandy. This is the place where the avdhut Amma lived. Ganapathyji guided us to all these places. Parking the cab, we all entered into the house she lived in. On the verandah on a table on the entrance was kept a plate in which were beetle leaves and suparis (arecanut) with chuna (lime) and things used for preparing paan. It was known to us that Amma only chewed paan and ate rarely. She never spoke to anyone, except in bits and pieces in Kannada or Telugu but words were not always clear. As we entered, a gentleman came to ask our whereabouts and as Ganapathyji told him about our intention, he said that Amma has gone out. i asked the gentleman in Malayalam when she would come back and he softly said he had no idea about it. Ganapathyji asked us to all sit down in the verandah and meditate. We all sat down with our eyes closed. There were some other visitors also who seemed to be waiting for her. All of us connected to the place and meditated. i was connecting to Amma's consciousness and sent her my love. The place was very serene and one could sit there just like that. After about 30 minutes, opening my eyes, i asked Ganapathyji if Amma would be late in coming why don't we go ahead to Quilandy and come back here on our way back since it was on the same route, to which he just up and said that he would be back in five minutes. (He intended to go buy some beetle leaves for Amma) We continued sitting there absorbed in that peace. In about 10 minutes, we heard Ganapathji calling us out in a loud voice and we all sprang up. He asked us to follow him and he was running. As we were about to wear our footwear, he asked us to leave it behind and just come. He ran out of the house, out of the compound into the streets. i wondered what? No time to think. Impulses said we must take on heels with him and the 10 of us ran on the street barefoot among the traffic, confusing the people on the streets. After running and following him for about 200 meters, suddenly Ganapathyji stopped running and stood still near a auto stand. We also caught up with him and stood with him and all were looking everywhere around. My eyes were just searching everywhere. Everyone looked everywhere but ignored the woman he was standing next to. An old woman with just a piece of cloth wrapped around her body staring everywhere around. He fell at her feet and soon all of us one by one touched her feet in total reverence. As we did, Amma stared carefully at everyone, looking into everyone's eyes. She looked to be in her late 80's. People around seemed familiar with such scenes. Some, as soon as they noticed Amma, stopped and jumped out of vehicles to take her blessings. She was known to only speak in very little words in Kannada or Telugu that was often inaudible. She was constantly wrapping around the cloth over her and never stood for long in one place. She kept moving along the roads completely devoid of the world around her. She never obstructed or avoided anyone who fell at her feet but looked intensely at everyone who fell at her feet and then walked away. As we stood there for a while watching her walking away far, we saw someone in an auto after falling at her feet asking her to get into it. We were told that she would be brought back home and so we started walking back to her home. As we reached the home, the auto came in and she got out. She was constantly followed by a lady and a man who had come to see her. But the moment she got out of the auto, she started walking out of the compound into the streets again. We just stood there. She seemed to be just moving around as a small 5-year-old child does. Not wanting to disconnect with her, i kept my awareness at peak while watching her. In all the hurry i had forgotten to bring my camera our of the cab, but suddenly remembered about the cell phone and took it out and clicked her photos. After i had heard about Amma from Swami Vijayanand and Ganapathyji since few months, i never had the faintest idea or what Amma would look like but had created some image in my mind about her as to how she would be. i was thinking she would be sitting there and giving darshans to people coming and being in samadhi. And here i see her divinity in full action, fully unaware of her own body and other things of lower aspects. i went out to the gate and saw that the lady and man still followed her wooing her to come back into the house. It was obvious that they wanted Amma to go to their house for it is a strong belief here the house that Amma walked into prospered. But, also it was not by wooing for she went only to the houses she wished to. 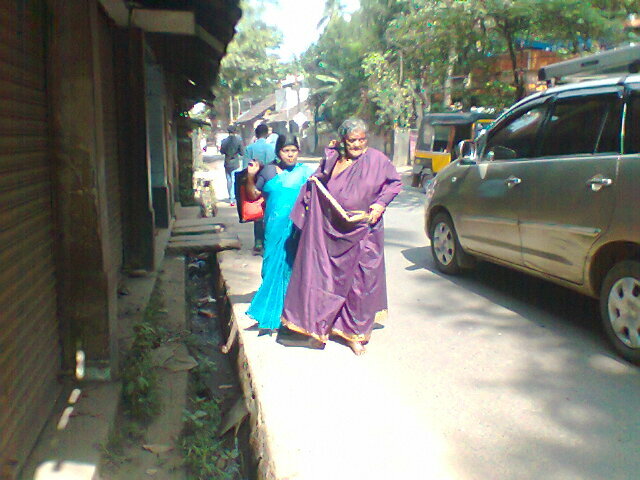 As the lady and man followed her, Amma kept moving away and didn't seem to want that. She was walking on the street and suddenly turned back and started walking back towards the house while we were standing at the compound gate. While i was clicking her pics i was feeling uneasy aiming the cell at a divine person like her, but at the same time a thought was sure that why someone of her stature would be even bothered with what anyone was doing. As she came in front of me, close to me when she looking at me clicking through my cell, i hesitated and put the cell down and she looked at me and said "Baa" meaning "come" in Kannada and straight walked into the house. i told others that she is calling us and we all followed her. She went straight to the corner of the verandah where she frequently lies down and she lied down. We all went and sat around her. The man and lady also followed her and sat beside her. We pressed her feet as she lay down. Not wanting to lose any connection with her i attempted to maintain constant awareness. She got up and sat and said something, not a word of which anyone could understand. She muttered something more after sometime and then laid down quiet. i looked at her fingers and it reminded me of the exact untidy fingers with long fingernails of Bade Baba. She laid down in the same way Bade Baba used to lie down with both hands over forehead. Her eyes and her actions spoke volumes about her not being in this world at all, but she was responding through many ways that was unable to be deciphered by the limited senses. After giving us some time of her "darshan" she sprang up and went inside the house. As she went in i spoke to two of her caretakers and found out that this was their house and Amma had arrived out of nowhere one day few years back and was believed to be somewhere from Karnataka or Andhra Pradesh as she spoke bits of Telugu and Kannada. Both the gentlemen very humbly gave every bit of information i was asking and permitted me to click pictures of the room also. When i asked about her practices, they replied that she was an avadhut and avadhuts have no sadhana or practice, but born that way. 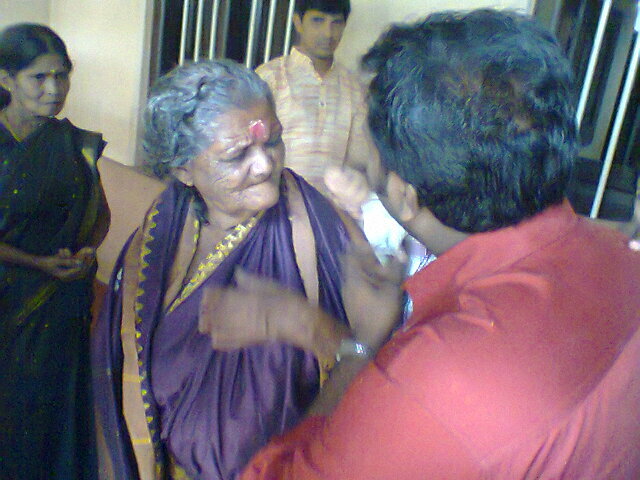 Just then Amma emerged back from an inner room and came walking towards me and the two men standing near the inner door. As i stepped back to get off her path, Amma raised her hand and said something to me and left the home back onto the streets. This time also i could not understand her language but remained attuned with the bhaav of absorbing it all into my consciousness. As i watched her go out with the same man and lady behind her, the men of the house said that people from many places and foreign countries come to meet her. She keeps moving in and out of the house as frequently as she wishes and wanders through the streets. i asked them years back why did Amma chose to come to house only to which they smiled and said they have no idea but they also revealed something more then. They said there also lived for some years here in the same house another Avadhut named Surya Narayan Swami pointing to a photo on the wall. It looked familiar. i spotted a room full of some divine photos and asked if we could go in there to which he welcomed in and spoke about the Avadhut who took samadhi a little farther from this place. 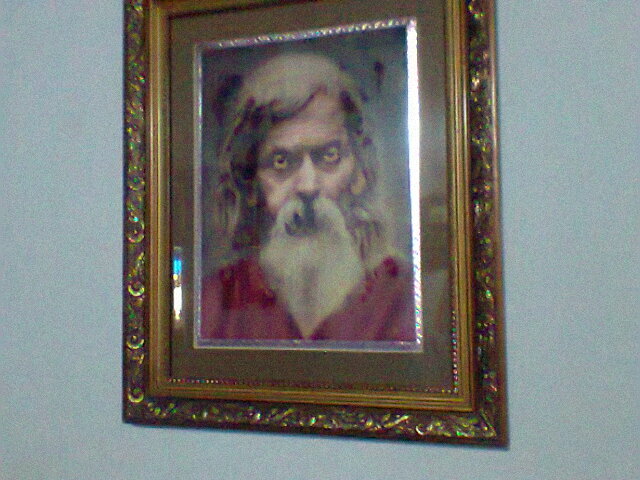 i stared at his photo that looked familiar and insisted that i have seen Swamiji somewhere. The man replied that i must have seen him in any Nityanand Ashram to which my eyes widened as i remembered seeing this photo in Swami Vijayanand's Anand Ashram in Bevinkoppa. Now, i was more interested. He told me a lot about him who was known widely here as Surya Narayan Swami. He then gave me his samadhi address. 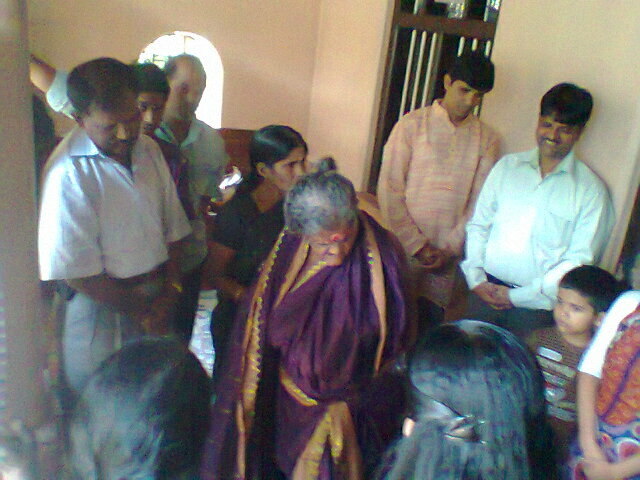 They told me that Amma arrived after the Jeeva Samadhi of Surya Narayan Swami, which only added to the mysteries. i knew that our purpose was not to solve mysteries but to know that we were in some very welcoming divine presences. So, i stopped probing with a curious mind preferring now to remain only connected to what was making itself available to us in so many forms. i understood that even if our minds was immature to decipher the mysterious messages, all we could do right now was to just increase the receptivity. As i looked around there was another photo of a Siddha and the man said that he was another yogi who lived in the same house long, long back. Certainly, this house had something to do with the divinity and the people of this house through generations were serving great enlightened beings. i knew very strongly that there are lot of hidden mysteries here and the lineage looked very apt and that not many knew about it all here and around. As we moved out, the man told us his name was Jayakumar and also added that Asianet (a famous Kerala TV channel) had telecasted a documentary on Amma sometime back and wanted help in tracing it on the internet if it was available. i promised to try and find out on the internet. Offering our gratitude to him earnestly, we left the place and i looked around for Amma but she seemed to be nowhere in close vicinity. After reading this article one of my seeker friend Vikas from Bahrain wrote to me. Taking his permission i paste the email here: I read your article on visit to Tellicherry...my home is half an hour from there. The name of my village is “Pattiam”...in my childhood days I always use to visit Tellicherry whenever I get time .use to love that place..Thank you so much for visiting our place and for writing a wonderful article on amma. There are lots of incidents abt amma.. actually she have lots of devotees in Andhra and Tamil nadu..heard there are temples over there..tellicherry is been blessed by her presence..dont know why she choose this place..s he walks like a digambar day and night fearing nothing..
i would like to share some incidents abt amma that I know.. Amma once got hit by a vehicle and was seriously injured and was taken into medical hospital in Calicut..she got admitted however after some time miraculously she was healed and started walking normal as if nothing have happened without saying a word..Dr Ramakrishnan have mentioned abt this incident in TV.In one incidents where doctor failed to find a clue abt a disease of a serious patient … from nowhere amma enters the hospital and go to that bed ridden patient and touch the patients neck..and when doctor did the diagnosis doctor came to realize that the problem was exactly with the neck..one day a person saw her walking in the road at vadagara (she use to be there before coming to Telicherry) midnight with 2 jackals on her either side. 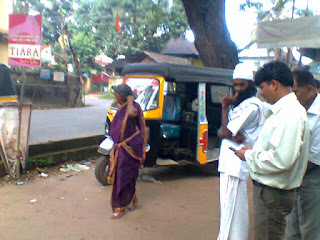 There is also a funny incidents of an autodriver who tries to woo amma in his auto "onnu kayaroo ammae.. please kayaroo ammae" (please get in once, just once Mother)..she does not get in and at last somehow she sits inside the auto....but amma doesn’t steps out of auto and this guy ran and ran ..that was really funny! Lots of love. We then left towards Quilandy and reached there in less than an hour from here. The next day's plan for me and Arjun was to leave for Mookambika temple while Pratap, Shyam and Ramsingh were to return back to Goa the same evening. i asked if they wanted to join us to Mookambika and after a thought they agreed :) So another twist happened was that we were now five people going there and Maya aunty who had already gone back to Manipal said she would also join us from Udupi. So six people. Ganapathyji took us straight to the ashram temple of Nityananda Baba. We spent some time here and the priest showed us a spot in front of the temple where Bade Baba's hair was brought and buried here after his samadhi in Ganeshpuri. Shri. Ishwar Iyer's who had taken care of Bade Baba as a child. He then directed us to Ishwar Iyer's house a little further. When we reached the spot and saw a big temple dedicated to Surya Narayana. It was here that Shri. Iyer who was a lawyer lived. He was a Surya upasak. Just opposite to this house was a huge pool and i wondered if this was the same pool where Bade Baba as a kid would jump deep into to retrieve the lost gold ornaments, however small it was, of ladies who lost it while having bath here. After a visit to the temple and moving around this place, we took prasad and fed the fishes in the large pool tank outside. Ummamma and her husband Chathu Nair worked for Shri. Iyer. One day in the jungle she found Baba Nityanand as a little infant lying in the jungle and brought her husband and Iyerji at the location. They saw that the child was guarded by a serpent that circled the child thrice before leaving. Shri. 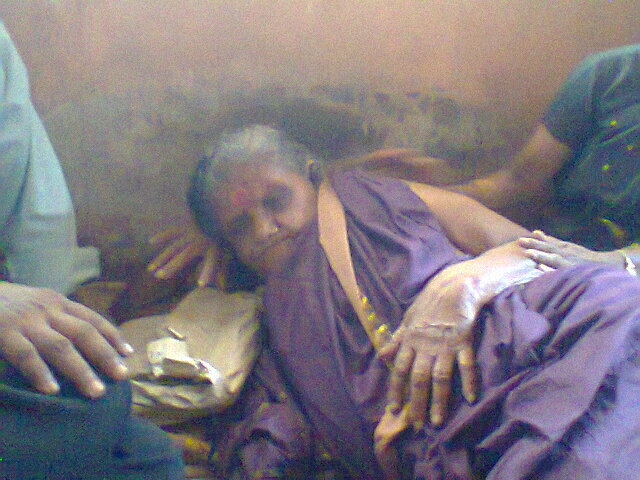 Iyer asked Ummamma to take care of the child, which she did. There is a Ayyappa temple in this compound and this is the same temple where the divine infant was named as Rama. At the age of 6, when Ummamma passed away, Iyerji looked after the child and began to notice special qualities in the child. Iyerji noticed the child insisting on physical cleanliness, total truthfulness, compassion and fearlessness and this only increased his love for the child. Rama (Baba) would listen in complete attention whenever Iyerji read out sacred scriptures to him. When he discussed legal matters with his colleagues Rama would give them surprising successful insights. One day, as per Iyerji's longing to go on a pilgrimage to Varanasi, while they were there, Rama expressed to Iyerji that he wanted to take leave of him from there and not return home and that he would meet when the time comes. Iyerji was shocked and tried to convince but to no avail. Sad, he returned home alone and Rama spent his time wandering alone in the Himalayas. From here, we then went to the Quilandy railway station to enquire about the train that the Gaonkarji's family was supposed to return in and found that the train was at 3:30 which meant we had to be there by 3 p.m. to buy tickets till Kanhangad since they had valid tickets from Kanhangad to Goa. It was close to 2 p.m. From here we drove a little further on the highway and stopped. Getting off the cab, we then crossed the highway. Further crossing the railway tracks, we were led by Ganapathyji to what looked like an old shed. My camera was shooting the video when i suddenly realized the shed was the shelter of Achar Baba! Not to offend him, i switched it off. i had heard that Baba treated different people differently. Sometimes he was very happy with people who visited and some he used to ask them to stop at the very entrance near the railway tracks and return back. Some he allowed to sit with him while some before getting off their vehicle only were not welcome; he would ask someone to ask those people to get going back in the same vehicle. Putting off the camera, my physical eyes saw a bearded man sitting behind piles of what looked like garbage. As we approached close, we saw that there were around 5 people who were already sitting a little far from him. The area around him was stinking of decay. Knowing very well that these were all delusions to the five senses, i continued looking at him with continued awareness. i noticed that all the garbage in front of him were food items which contained fresh food as well as stale food including rich delicacies. Baba held an incense stick cover and fanned himself continuously nonstop. He wore nothing but a piece of dirty cloth around his waist as he sat squatting. i spotted him taking a packet of groundnuts and eating it away it merry and speaking something to himself and laughing at times. I began shooting pics and videos 'knowing' that it was 'safe' to take his pictures. i remained wondering about what it was all about and sat down in silence and closed my eyes. The moment i closed my eyes some thoughts of reality suddenly struck upon me and tears started flowing. The entire world seemed garbage.... whatever we are, however we are, how much ever we may flaunt are achievements and positions, it is a matter of time that we will decay away. The same food so fresh and full of aroma turns into rotten smell when it decays. i remained connected with Baba trying to figure out what was happening or what should we be doing. i was also aware that until Baba asks us to leave we must not leave but the people from Goa had their train at 3:30 p.m. and was wondering what next. At that moment someone called me from behind and it was Ramsingh bhai. He had asked Baba's caretaker something in Hindi and the man was responding in Malayalam, so he wanted me to translate it. When i approached this man, he told me that the shed was his and behind it in a small room he lived. i was just astounded by the wisdom this humble man had. He never looked educated. Looking at Amma, looking at this man speaking to me and looking at Baba sitting in garbage, it looked almost impossible for one not to judge. The man told me in clear Malayalam that Baba had come there about 9 years back in a lorry (truck) and got down on that highway. He discarded his clothes and started wearing gunny bags around him. After a while he discarded that had wore only a piece of cloth around his waist. He said that then he and a few others brought him to this place in the shed and took care of him. Many who met him experienced wonders and soon the word spread. Baba speaks only Hindi which again cannot be understood clearly for they are only muttered. People speak to him in Hindi and he responds if the 'need be'. So, when the Keralites went to him speaking in Malayalam, what he said could not be understood by them. Exalted by this experience, we dropped the Gaonkar family at Quilandy station and i pointed out to Mr. Gaonkar the railway clock which showed a perfect 3 p.m. that was the time we were all so worried to reach here since we left Kanhangad in the morning! We then started our journey back. As we stopped for tea in one place, Ganapathyji reminded me about the address i had taken from the person who took care of Amma. It was the samadhi site of Swami Surya Narayan. We moved a few kilometers ahead and at a place between Vadagara and Thalassery, we stopped to ask two people on the road the address and the man pointed out. It was exactly the right place we stopped to ask them and took a small road from the highway and reached it just about 200 meters from where we had stopped to ask. As we walked into the samadhi place there was a huge wave of energy blowing like heat waves which few of us clearly could feel coming from the samadhi temple. From here we left towards Kanhangad. The after-effects of meditating at the samadhi was powerful and we had to stop at a hotel because some felt nauseated while some had an upset stomach. We spoke for a while about the powerful release that suddenly erupted. The driver was curiously observing and listening quietly every activity of ours since morning. Looking at him being a little different, i mentioned to others that the divine energies do seep in wherever there is receptivity and i am sure it has spared none including the driver to which he only smiled and quickly left from there. It was obvious that he did not want to believe things but it was helplessly happening to him. lol.. After a light dinner, we got back into the car heading back to Kanhangad. We were speaking over many things, mostly about karma, healing, ill effects of nonveg food, etc. After a moment everyone fell silent and for about 15 minutes there was silence except the sound of wind and the engine. Suddenly Vinod (driver) spoke out for the first time by himself, "Why is everyone quiet? Please talk something." We burst into laughter. Soon the Vinod got a call and it was obvious that his friends was inviting him for food after he reached Kanhangad. Before he kept down the phone he said in the Hindi he knew in the typical Mallu accent "Mai aaj se nonveg chod diya." We all laughed again and it was fully evident that things had seeped into him dynamically and that was evident when we reached Kanhangad Ashram, he asked for my number and also asked when the next trip was, so that we call him too.. lol..
We got back into our rooms and spoke till about midnight and got to bed. Next morning, we got up early and after getting ready, i spent my last half hour in the ashram in the caves and other places. Thanking Ganapathyji for everything, we left the ashram in the auto that he had come in for us and we were in the railway station by 7 a.m. We took the 7:15 train to Mangalore and from there took a bus to Udupi. Aunty came to the Udupi bus stand and we fixed up an Ambassador car for the journey towards Kollur about 80 kms from here. We were happy over our choice of Ambassador (we had no other choice for 6 people) It looked packed but we were comfortable. While i had started for the Kanhangad journey four days ago, i had given a call to Gopalkrishna Shenoyji instinctively telling him about our trip and asking him about Mookambika. Shenoyji is the son of Shri. 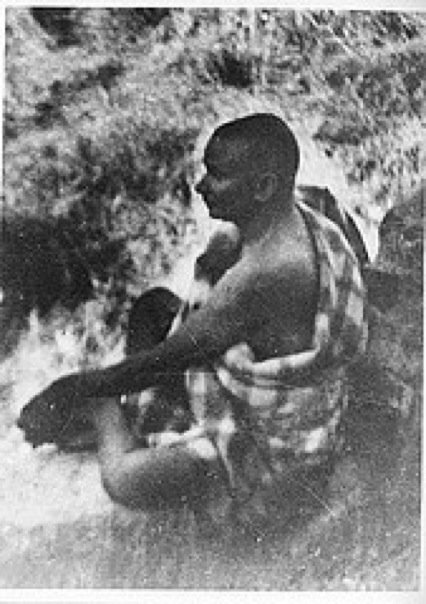 Raghunath Shenoy who served Baba Nityananda and spent a good amount of time with Baba. His mother Sunita Shenoy as a young girl used to carry breakfast for Baba Nityananda while Baba was in Kanhangad ashram caves or around this place. i did not know why i was calling Shenoyji but speaking to him things got clear that in Mookambika there was Nitanand Baba's ashram right next to the temple. This doubled my excitement to go to Mookambika. Shenoyji was the initiator to get me connected to Padiyar Swamiji from when on we regularly visit Swamiji's samadhi and meditate in his house. And it was through Padiyar Swamiji that i met Ganapathyji through whom i met Swami Vijayanandji and through whom so many things happened. All souls connected with Bade Baba get bonded together like a beaded necklace but the thread that remains unseen in the necklace is that subtle connection and force of Nityananda, the ever-willing and ever-compassionate loving force! On the way to Mookambika, we stopped at Siddhivinayak Temple (in video) at a village named Hattiyangadi. We reached at the time of the mangal arati here and after the arati, we were called for food and we had the prasad (food) there. When we came out of the temple, we saw another Linga temple named Lokanatheswara Temple and when we went it, it seemed to be centuries old with the main temple having a linga. Just a few minutes of meditation was profound. Then, we moved towards Kollur. Soon we reached Mookambika temple that was surrounded by tall mountains at whose peaks white clouds seemed to rest. Here also shirts, vests, hats or lungis are not allowed in the main temple. 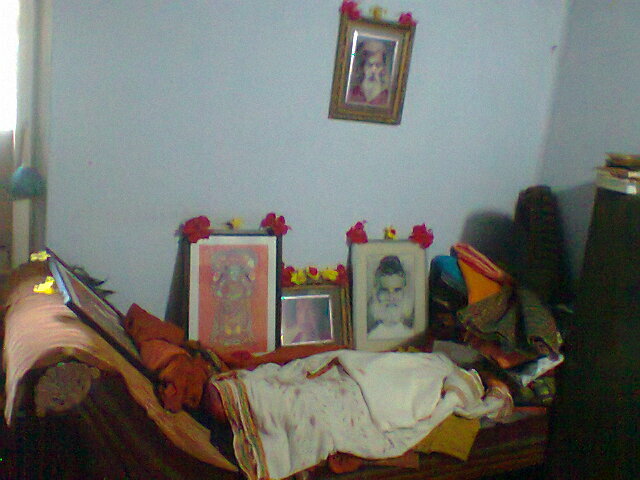 This place is the thapobhoomi of Kola Maharshi and other renowned sages. 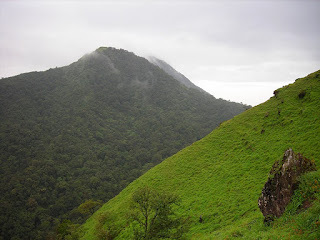 The name Kollur comes from Kola Maharishi. This is the place where the legendary Mookasura gained powers through intense tapas and started troubling all dimensions and preparing further in intense tapas to achieve immortality. This would have caused serious trouble and this was when Parashakti assumed the form of Lalita Tripurasundari and along with Kola Maharishi and other sages destroyed Mookasura and was thus called Mookambika. (These also are symbolic expressions of the stages of struggle between the dark forces and forces of light in a man.) 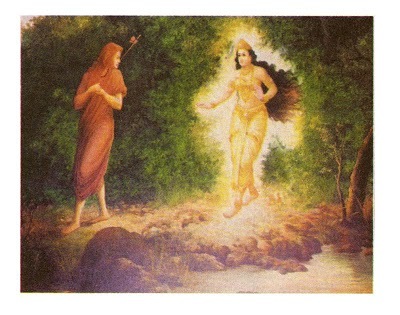 After Mookasura was killed, Kola Maharshi requested Adiparashakthi and the trinity to stay at the Jyotirlingam as the embodiment of all powers. This was readily agreed Adiparashakthi got into the left portion of the lingam (Shakti) where as trinity occupied the right portion (Shiva). A golden line divides the Lingam into two unequal halves, the larger portion representing Lakshmi, Saraswathi and Kali and the smaller portion representing Brahma, Vishnu and Shiva. Sri Chakra was invoked into the lingam. The main temple has mother's panchaloha idol as a young girl, her face beaming with boundless grace, sitting in the mystic padmaasana pose, four armed, holding in one hand the conch (symbolizing sabdh - OM) and discus (symbolizing time cycle). The lower left arm expresses the mystic mudra of abhaya mudra (assuring freedom from all fear) and the right arm expressing abheeshta mudra (assuring the fulfilment of life's natural desires). 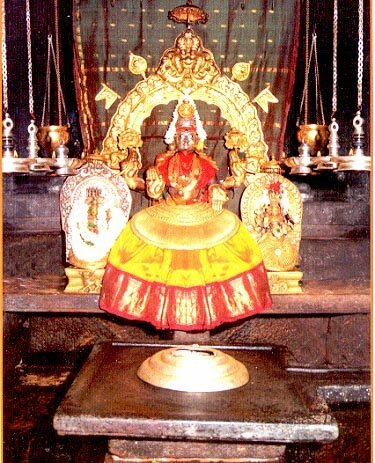 This idol was installed by Sri Adi Sankaracharya when he came here and had the ecstatic vision of mother in the divine form of Mookambika and it was here he first wrote and sang the "Soundarya Lahari" as he was worshiping the mother. He installed the idol in front of the jyotirlingam that has mystical powers. The jyotirlingam was self-born in the 28th Dwapara Yuga when Kolar Maharishi was doing penance there. The jyotirlingam is flat and round and can be seen from outside just in front of Mother's idol. Behind the temple is the place called Sankara peetha which has the stone slab believed to have been used by Shankaracharya for meditation. The peetham has a grilled door though which one can see the peetha. We all sat right in front of this and meditated. There are also shrines to Veerabhadra Swami, Subramanya, Naga, Panchamukha Ganapathi (five-faced Ganapathi) and Anjaneya. After the sadhana, we took prasadam and asked and found out Nityananda Baba's ashram, which is situated just next to the temple in front of which flows the Sowparnika River‎. By this time, it was getting too late and the driver was insisting from the past 2 hours that we leave early as night driving was troublesome for him. Taking all this into consideration and looking at many caves and temples here, i knew that it cannot a one-day visit and told others that we could come here again for there are many things to do here. Soon, we were driving back to Udupi and we reached here around 9 p.m. From here the three of them left to the railway station to catch an overnight train to Goa, aunty after getting fed up inviting me and Arjun home left in an auto to her home and me and Arjun took up a room. Next morning, Arjun took a bus back to Mangalore and i moved to the railway station where i took the train that i was actually supposed to take from Mangalore but even though the sudden last moment changes, could conveniently catch this train back home and reached home in the evening. These 5 days seemed like we did activities of 5 weeks. How many times ever you travel to Kanhangad, it always has something to give. Looking back, this trip had as usual given new insights, new lessons, new people, new experiences, and new openings. i am sure those who traveled along in this divine journey have taken back a lot than expected and even if it does seem, it would blossom in the coming time. With deepest gratitude in love to our Guru, the Divine Mother, Siddhas and saints and to everyone who joined us in this divine trip with special thanks to Ganapathyji for all his guidance and help, namah shivaya. I feel overwhelmed by reading these stories. My favourite places in the universe...my beloved Baba Nityananda and my dearest Mookambika Devi. Ammay sharnam.. You are deeply Blessed. I am glad we stumbled upon each other as Amma Mookambikas children. On Monday 02nd June`2014, Swami Vimalananda (80 yrs) of Nityananda Ashram in Kollur - Karnataka, passed away in HIS Ashram. 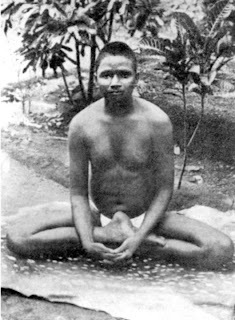 He is regarded as the last link of the hierarchy of the Nityananda tradition. He had come into close association of Bhagawan Nityananda at a young age of 15. As a young teenager he was Nityananda's close attendant. In 1960, on Nityananda Guru's directives, he arrived in Kollur and in 1961 HE set up the Nityananda Ashram. In 2009, a Panchaloha Idol of Nityananda Guru was installed @ the Ashram.